Over the last six years, the world has seen Kochi's growth as the host of Asia's biggest contemporary art festival—Kochi Muziris Biennale (KMB). The fourth edition of the biennale, that will be on from December 12 to March 29, 2019, will be curated by contemporary artist Anita Dube. This edition will feature 90 artists from different parts of the world. Dube who has been travelling extensively for selection of artists, has already been to 31 countries. The partial list announced earlier revealed the names of 35 artists. 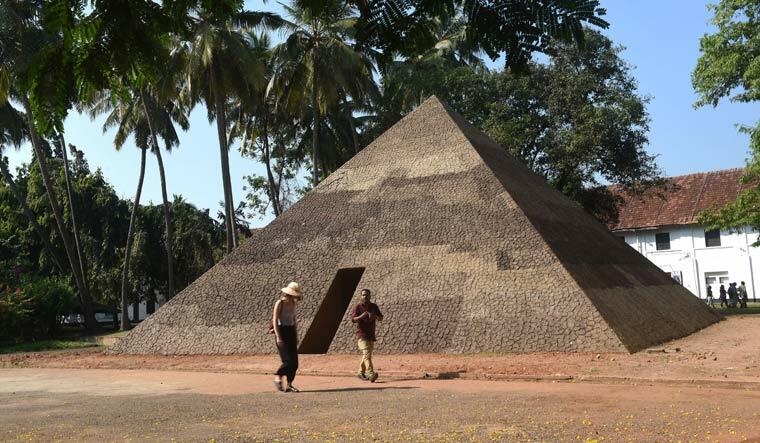 “The final list of artists will be announced on August 15,” said Bose Krishnamachari, president, Kochi Biennale Foundation (KBF). “The artists will start visiting the sites soon after the announcement of final list,” he said. Krishnamachari was talking at an event where Adeeb Ahmad, managing director, Lulu Financial Group and Twenty14 Holdings, handed over a cheque of Rs 1 crore as the platinum patron of the biennale. “Kochi Biennale Foundation is giving great donations to the development of art and cultural space of the country,” said Ahmad. KBF is not just about art and artists, but about strengthening the relation between art and society.” Rightly so, the KMB is widely known as the people's biennale for its huge participation. For the last edition, in 2016, more than six lakh people visited the KMB. Ahmad added that the installations of KMB have been discussed worldwide and it is great to be part of its history. Krishnamachari said that the corporate supports will be a driving force in the growth of biennale. 'Making as thinking' has been announced as the title for Students' Biennale—an exhibitory platform for art students, run in parallel with main biennale. This year, the Students' Biennale will feature students from SAARC nations. A conference of International Biennale Association will also be held in connection with the coming edition of KMB. There are around 320 biennales around the world, and the association is a platform for exchange of knowledge and information for those bodies and professionals who plan and curate periodic art events. Around 60 professionals working with biennials, triennials, and research of contemporary art will participate in the conference in Kochi.